This is the first in a series of posts discussing the initialization of a TOUGH model to represent realistic natural state conditions. In almost all cases, it is beneficial to run a model to steady state before adding transient boundary conditions, injection or pumping wells, etc. We’ll give a very simple example first, where we’ve used EOS3 to establish a hydrostatic pressure gradient in a single phase model. We’ve created a simple three dimensional model with dimensions of 1000x1000x100 meters. We use a rectangular grid with spacing of 100m x 100m x 10m in the x, y and z directions. The top of the model is 900 meters below ground surface. 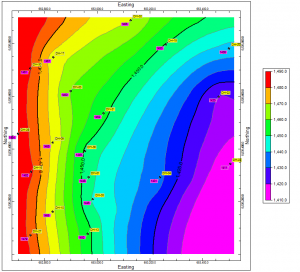 We’ll assume that all of the material above the top of the model is saturated with fluid of a constant density, so the top boundary of the model will be at a hydrostatic pressure based on a water column that is 900 feet thick. Figure 1: Global Initial Conditions based on Pressure and Temperature at a saturated depth of 905 meters. We’ve made the top cell layer in the model “Fixed State”. By setting the top layer to “Fixed State”, these cells will remain at the pressure and temperature conditions defined in the Initial Conditions Dialog. 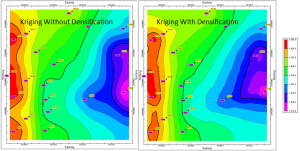 The cells below the top layer will be at a higher pressure which will be calculated by TOUGH. Since this water will compress, the top layer of cells will act as a source to supply the required water. Figure 2: The top layer of cells are set as “Fixed State” cells and colored in red. These cells will have a constant pressure and temperature equal to the global initial conditions throughout the simulation. We set the end time of the model to 100K years with a maximum time step of 100 years. TOUGH does a transient calculation. By setting a long time, the transient will reach steady state. 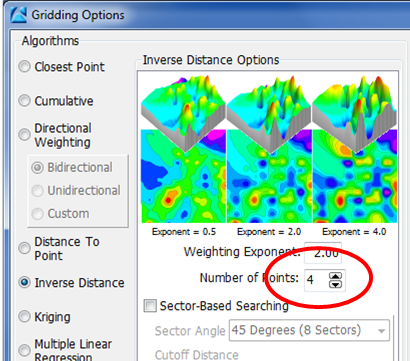 Figure 3: Solution Controls accessible through the Analysis menu. The model reaches steady state conditions after around 1400 years and the resulting pressure gradient looks like the figure below. Note that the resulting minimum pressure in the model is equal to the pressure at the top of the model. 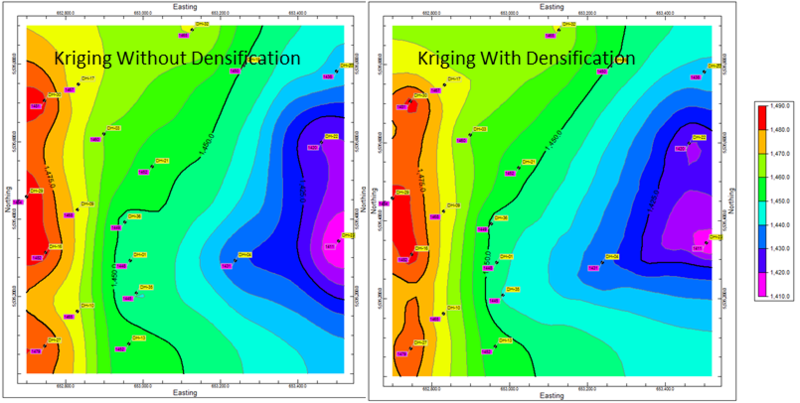 The model cells below the top cell layer have equilibrated to higher pressure values based on hydrostatic pressure. 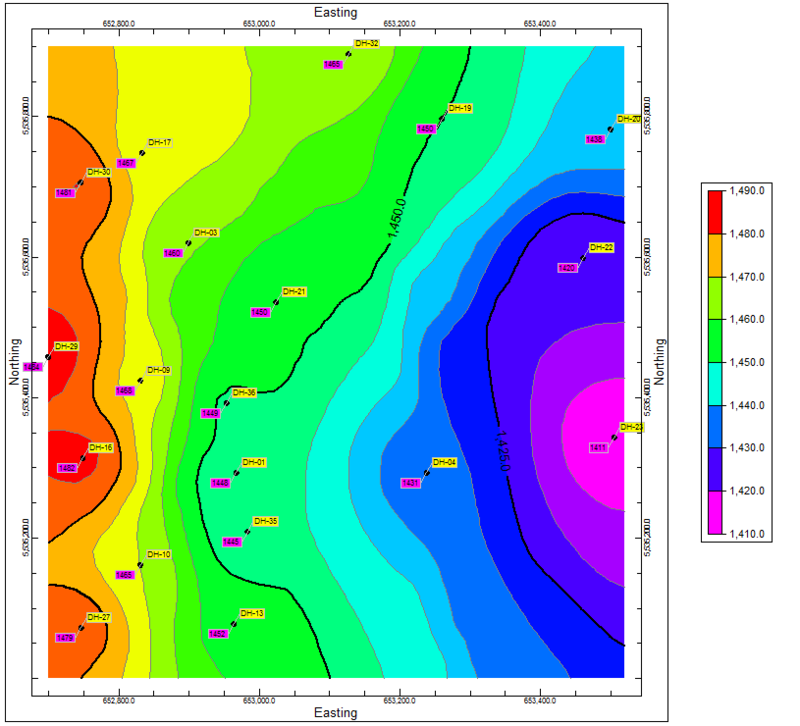 Figure 4: Final pressure iso-surfaces show a linear pressure gradient. On the File menu, click Save and save a new .sim file in a different directory. With the new .sim file open, on the File menu, click Load Initial Conditions and choose the SAVE file created by the original simulation (stored in the same directory as the original SIM file). Send comments or suggestions on this post to Alison Alcott at RockWare. 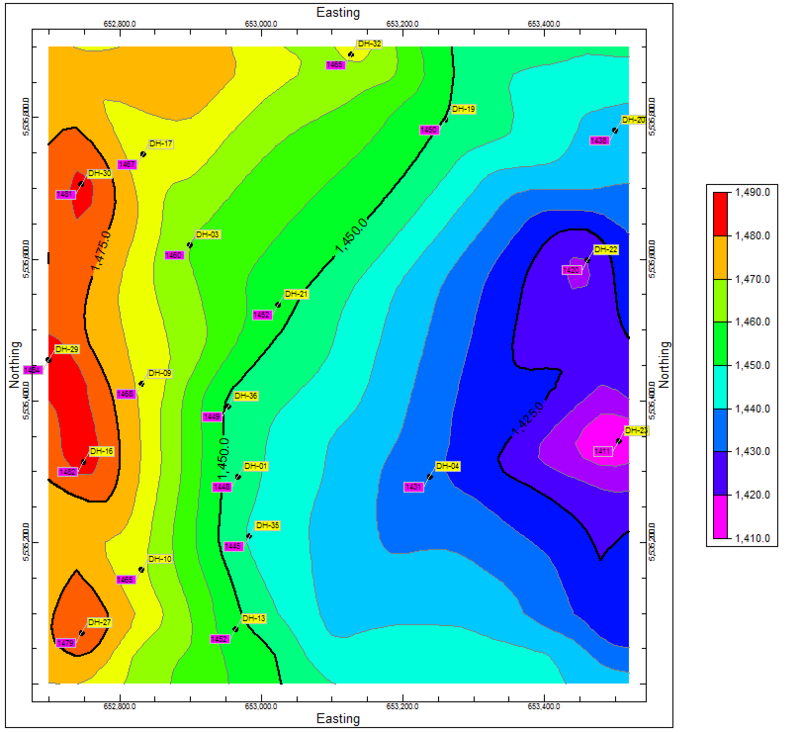 If you are trying to create a lithology model composed of horizontal beds that have been eroded and then overlain by a layer of soil, fill or even material such as concrete, you’ll often find that the horizontal lithoblending algorithm incorrectly places this upper layer of material below the sediments in some places. One solution is to use some newer tools in the Lithology menu to create two separate Lithology models that can then be combined. Here is an explanation of how this works. Let’s start with the “Soil” layer at the top of the model. 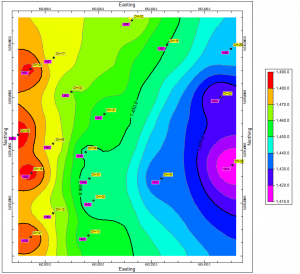 First, it is important to assign a G-value to the Soil Lithology Type that is lower or higher than all the other material types. In this case, the Soil material has been assigned a G-Value of 2. 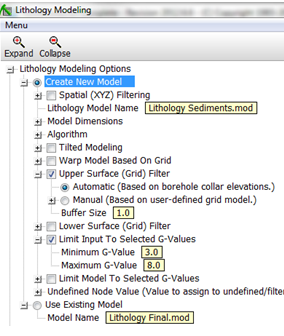 All of the other material types have been assigned values between 3 and 8. 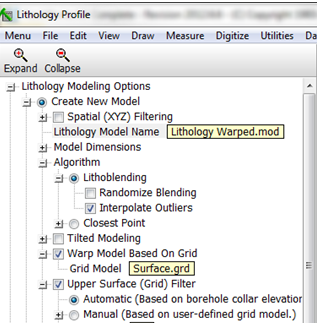 In the Lithology modeling tree menu, choose to create a model titled “Lithology Warped”. 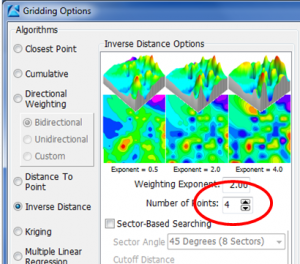 Warp the model based on a grid that represents ground surface elevations, and turned off the “Randomize Blending” option to avoid interfingering of the soil and sand below. While the representation of the sediments is probably not reasonable, I think that the soil layer at the top of the model looks much better in the diagram below than it does in the diagram above. 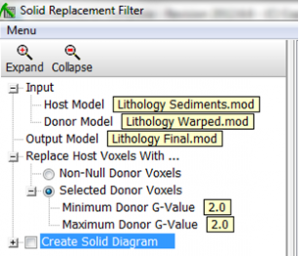 Next, create a model of just the flat lying sediments (in this example, the model is called “Lithology Sediments.mod”). When creating this model, turn the Randomize Blending option back on, the warping option OFF, and tell the program to limit the model to just materials with G-Values between 3 and 8. As you can see in the diagram below, RockWorks has included everything except for Soil in this model. 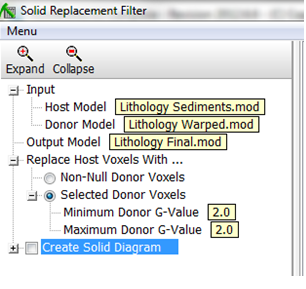 Finally, use the Solid à Filter à Replacement Filter tool in the RockWorks Utilities, to insert the Soil in the warped model into the sediments model. 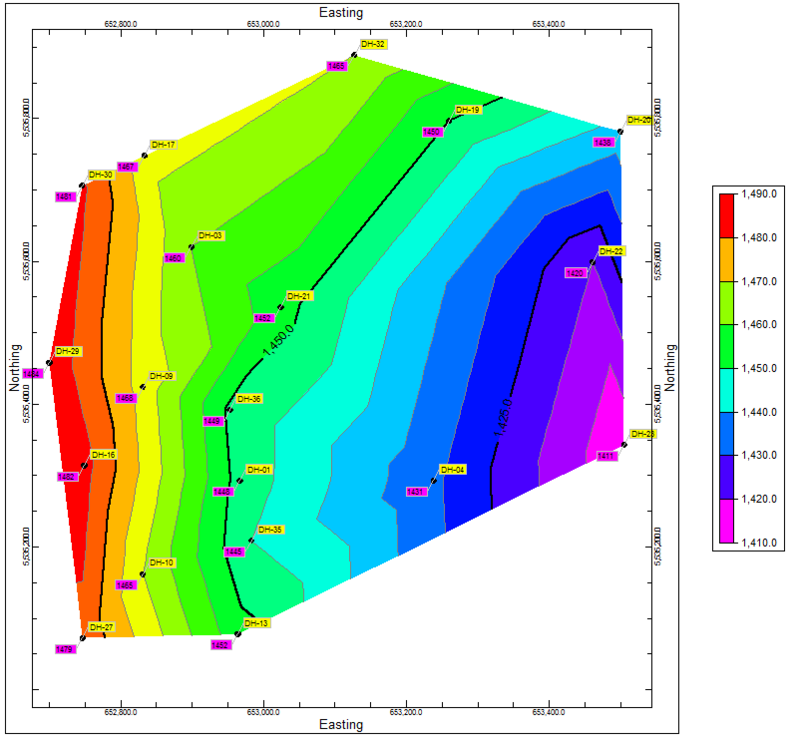 The diagram below displays this final model in a cross-section. Thanks to David Buss at aquaFUSION, Inc. for allowing us to post this map created using RockWorks15 and ArcGIS. 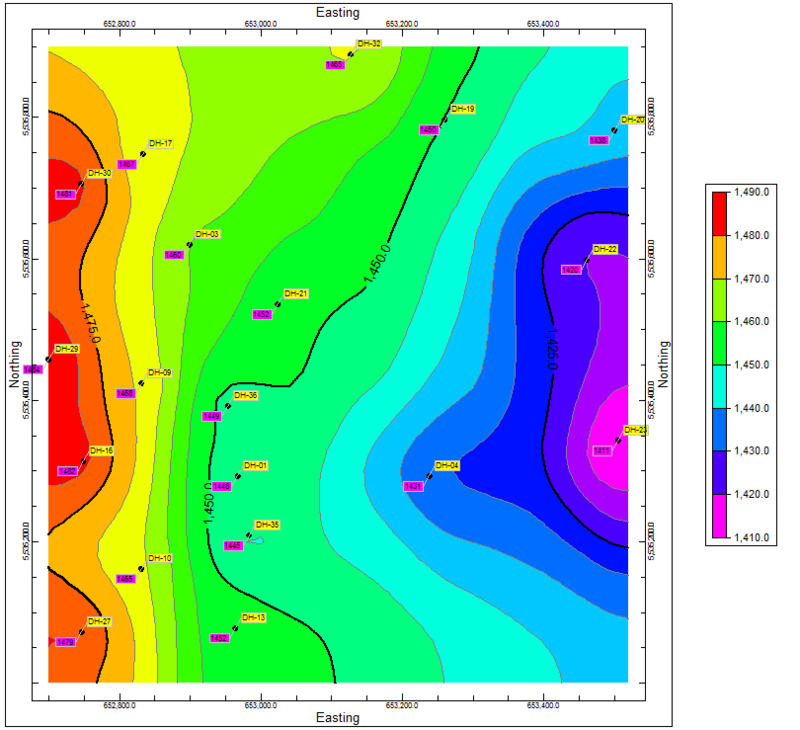 The triangle map (created through the Map -> Multivariate Maps -> Spider Map menu in the RockWorks Utilities and imported into ArcMap as a DXF) illustrates the relative percentages of Filtered Residue, Fluoride and Sodium in well water as triangles with variable shapes and sizes. Each triangle “axis” is scaled independently based on the minimum and maximum measured value of that constituent normalized to values ranging from 0 to 100. 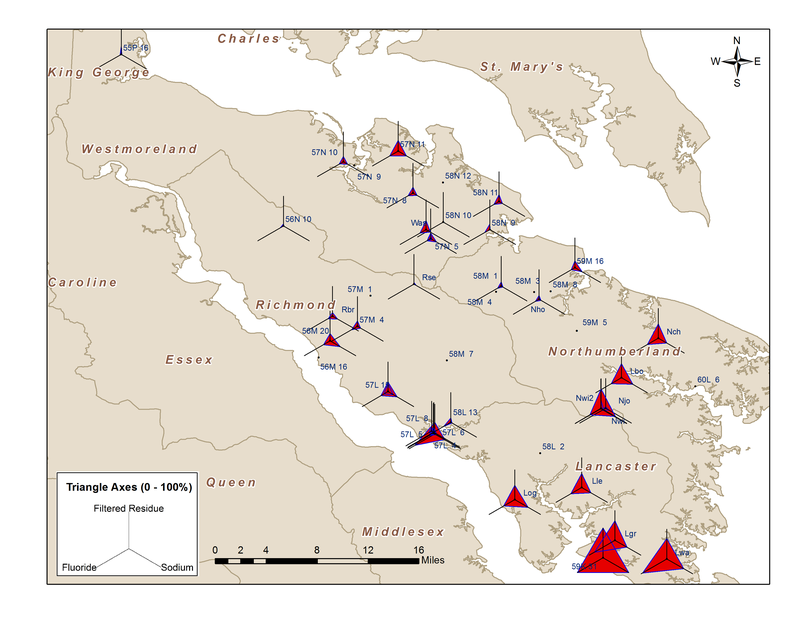 The triangle map shows a general increase in constituents in well water in the in the southern portion of the watershed, as illustrated by larger triangles in Northumberland and Lancaster Counties. A more subtle trend can be seen when comparing triangles located along the groundwater divide (which generally follows the eastern border of Richmond County) to those closer to the rivers. There appears to be a correlation between proximity to a river and the amount of TDS, Sodium and Fluoride in well water.